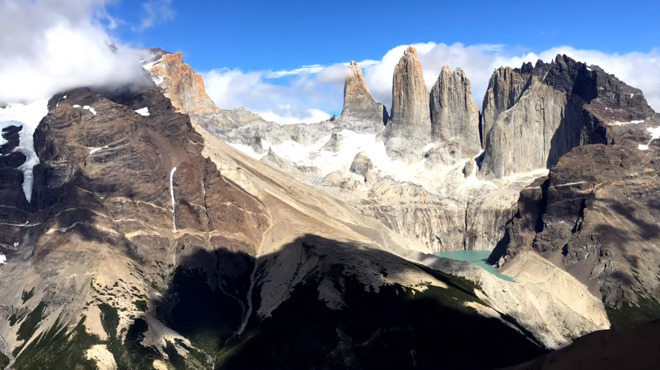 Apple on Wednesday premiered its latest "Shot on iPhone" commercial, "Earth," this time focused around the iPhone's video capabilities. Published on YouTube and also aired during the NBA Finals, the spot consists of nature scenes shot by iPhone owners, including beaches, mountains, animals, insects, and ice floes. Humans do figure in some shots, such as the final scene of a silhouetted person riding a bicycle. To draw a thematic link, the ad uses a recording of astronomer Carl Sagan reading an excerpt from Pale Blue Dot, warning about the fragility of human existence and the importance of protecting the Earth. Apple's editing skips around some portions of the text to make the theme work. A footnote at the end of the ad also cautions that "additional equipment and software" were used in some or all of the featured videos. Apple's "Shot on iPhone" campaign has typically concentrated on still photos, particularly with the advent of the iPhone 7 Plus, which has a dual-lens camera enabling optical zoom and a Portrait mode. There are plenty of exceptions however, such as its "One Night" series.